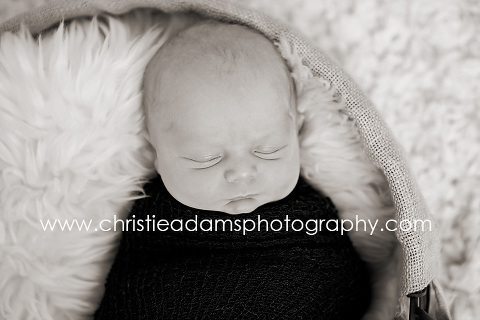 This week I had the opportunity to capture this absolutely adorable one week old little boy. 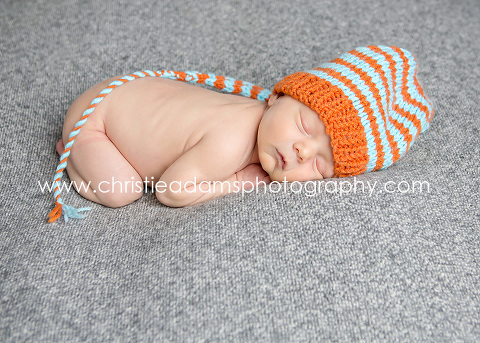 He was such a sweetheart; here are a couple of images from our newborn session at my Ridgewood photo studio. If you are pregnant with a baby due in January be sure to contact me now to schedule a consultation. It is ideal to have your newborn photo session within the first 2 weeks old. My newborn baby portrait studio is located right in downtown Ridgewood, New Jersey at 47 East Ridgewood Ave. Christie Adams Photography was founded in 2007 and as the only photo studio in the Bergen county area to specialize in newborn photography, I have over 7 years experience photographing newborns and have photographed over 250 newborns at my studio. My large loft style studio is full of props, accessories and everything needed for an amazing newborn session. All you need is your baby and a diaper bag.